The London-based food delivery giant launches its first dine-in space and “Click & Collect” option for diners to pick up their orders for free. Foodies can get around the major pet peeves of using food delivery services—having to order a minimum value of food and paying a delivery fee. London-based food delivery giant Deliveroo has launched its “Click & Collect” service in Singapore. 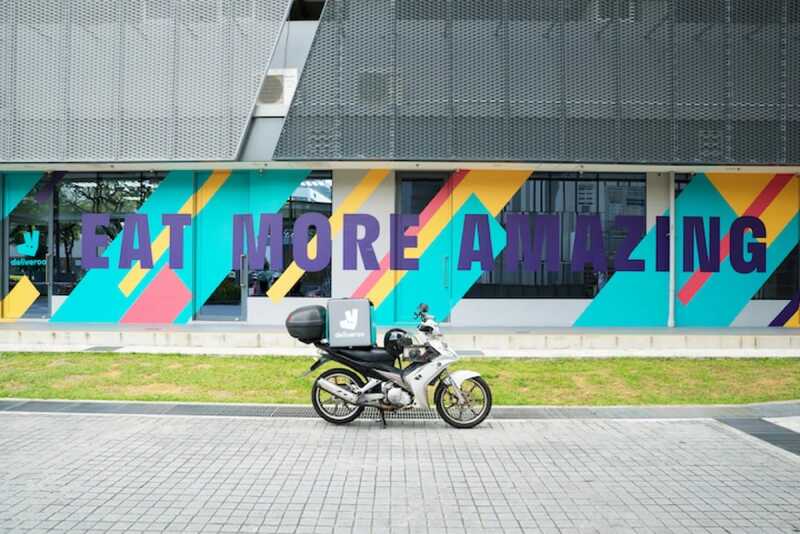 It makes its worldwide debut at the second outlet of Deliveroo Editions in Singapore at CT Hub, an office building in Lavender, which opened earlier this month. Customers within a 100m radius of the outlet can make their takeaway orders via the Deliveroo app and collect them at the outlet’s pick-up counter without having to hit a minimum order value or pay a delivery fee. They can also dine at the 20-seat space, which is the first dine-in concept operated by Deliveroo around the world. This comes hot on the heels of news that another food delivery player, foodpanda started a 30-seat dining space, Favourites by foodpanda, in its central kitchen in Woodlands last month. The Business Times had reported that Deliveroo had failed to get a dine-in permit for its first Deliveroo Editions in Katong, which opened in April last year. The 20-seat dining space in Deliveroo Edition's CT Hub outlet is the food delivery giant's first dine-in space. The 3,657-square-feet Deliveroo Editions, which spans six shop units in CT Hub, houses kitchens run by seven restaurants, serving cuisines like Vietnamese, Punjabi, Italian, American, Greek, Mediterranean, Hawaiian and Korean. They are Wolf Burger, Dosirak, Aloha Poke, Blu Kouzina, Kurry Korner, Da Paolo and Streets of Saigon. In the pipeline are new restaurant collaborations to expand their offerings. For example, Deliveroo will roll out a Greek coffee delivery service in a few weeks’ time, which is likely to serve the morning office crowd in the vicinity. 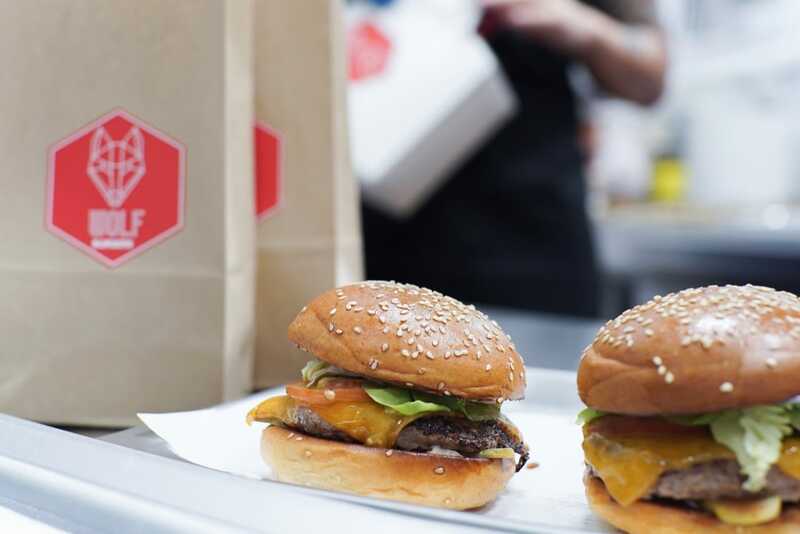 Wolf Burgers is one of the seven restaurants operating at Deliveroo Editions at CT Hub. Deliveroo Editions is a satellite kitchen concept that allows restaurants to operate in areas where they do not have a brick-and-mortar presence. Deliveroo provides these restaurants with cooking and storage facilities, and a fleet of riders to make deliveries. Restaurants can also create new and virtual menus that are only available on the Deliveroo Editions platform. For example, Greek restaurant, Blu Kouzina, on Dempsey Road has rolled out a virtual menu, VIOS by Blu Kouzina, that offers healthy Greek grain bowls. On choosing to open Deliveroo Editions with a dine-in space in Lavender, Mr Siddharth Shanker, general manager of Deliveroo Singapore, says: “With the number of office workers in the area, we knew we wanted to offer a 'Click & Collect' option, removing the need for a delivery fee or minimum order value, and a dine-in space was the natural extension of that”. He adds: “We have created a casual, relaxed dine-in space where foodies can come in, enjoy the food and see first-hand how our super kitchens work”. Customers can pick up their takeaway orders for free at the counter at Deliveroo Edition's CT Hub outlet. According to Mr Shanker, locations for Deliveroo Editions are chosen based on its data on consumer preferences and clear gaps in the market for specific food options. 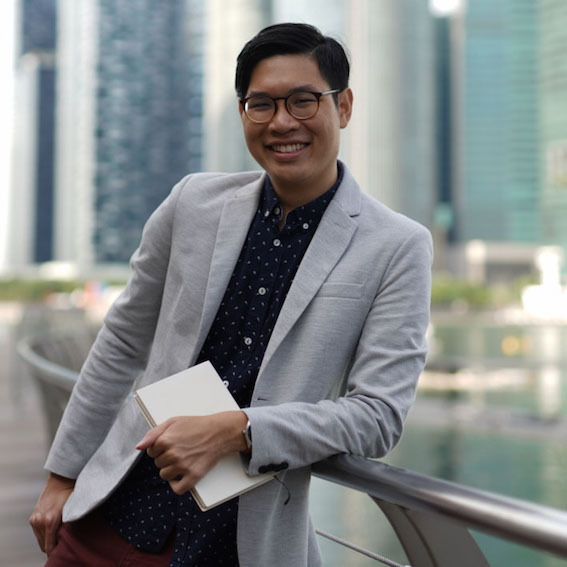 Besides targeting the office crowd in the Lavender, he says: “We are also able to reach a high volume of customers living in Novena and Newton”. The Lavender area, which is located on the city’s fringe, is already well-served by coffeeshops and cafes in the neighbouring Jalan Besar neighbourhood. How will Deliveroo Editions stand out from the competition in the area? Mr Shanker says that Deliveroo can tap its database to get insights into “what cuisines are missing or under-represented in specific areas in Singapore, and this data enables us to partner with restaurants that we believe will be the most successful in the area”. Deliveroo has 3,500 restaurant partners and makes food deliveries here in an average time of 28 minutes—one of the most efficient markets globally. He believes that having a dine-in concept complements Deliveroo’s core business of food delivery services. “Our Deliveroo Editions super kitchens give restaurant partners new revenue streams, bring new food options to local neighbourhoods and increase the earning potential for riders”, he explains. Mr Shanker notes that restaurant partners with Deliveroo Editions have seen their delivery revenue increase by six times. He says: “Our restaurant partners are able to expand with greater insights and little capital risk, refining their dishes for delivery and experimenting with new virtual menus”. Deliveroo Editions is at 114 Lavender Street, CT Hub 2, Level 1, the dine-in space is open 11:00 a.m. to 2:30 p.m. for lunch and 5:00 p.m. to 10:30 p.m. for dinner. Snag a romantic rendezvous with that special someone at these stunning spots. The duo talk about their upcoming collaboration and what they think about each other.